Istituto G. Caporale was invited to attend the annual general meeting of Eurogroup for Animal Welfare, the federation that has for the last 30 years represented the leading European animal welfare associations. The AGM was held in Brussels on 21-22 June 2011. Along with representatives from the European Commission's DG SANCO and the European Federation of Veterinarians, experts from the Institute were invited to participate in a workshop on the 2011-2015 EC strategy for animal welfare. They discussed the importance of electronic identification and information systems as essential tools to ensure the traceability of animals, reduce the risk of the spread of disease, help manage the canine and feline population, prevent straying, and protect public health. 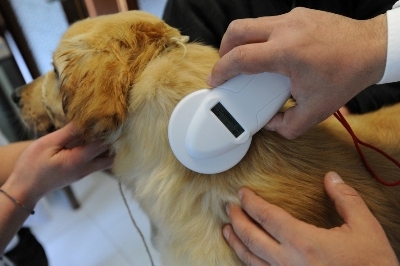 Particular attention was paid to the need to strengthen controls in the pet trade through the harmonisation of the identification and registration systems already active in many EU countries, with the aim of enabling the more efficient exchange of information and data to combat the worrying phenomenon of illegal puppy trafficking. The Permanent Secretary of the Ministry of Livestock and Fisheries in Zambia came in Teramo to study the model developed by the IZSAM for animal identification and registration system. The n. 26 of BENV collects all the updates on the Bluetongue epidemiological situation in Italy and the main diseases notified on the third quarter 2016.